Plans to improve a riverside beauty spot in Surrey have been put forward for consultation. 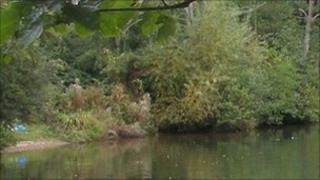 Elmbridge Borough Council said it wanted to improve Desborough Island in the River Thames in Weybridge. Proposals include a sign-posted waterside path, as well as introducing wheelchair access, car parking and benches. Desborough Island was created in the 1930s to alleviate flooding on the River Thames. The island, which is accessed by two bridges, supports a thriving wildlife population, and is also a popular beauty spot for dog walkers, anglers and nature lovers.